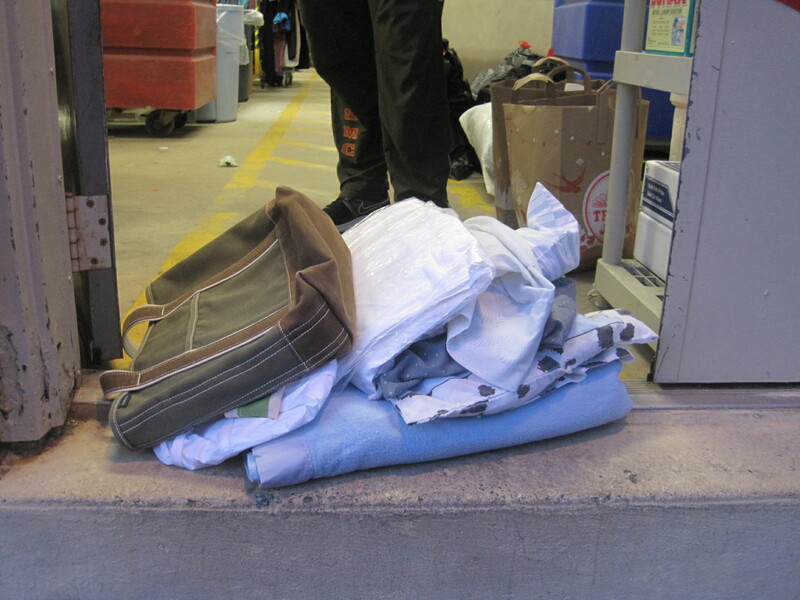 Clump #4: Take piles of old linens to Good Will and SPCA. The drop-off door at our Good Will. I hope the dalmatian sheets will make someone else happy. Boo-hoo! I also hope I don’t get a reputation for being a weirdo by taking photos of my donations. 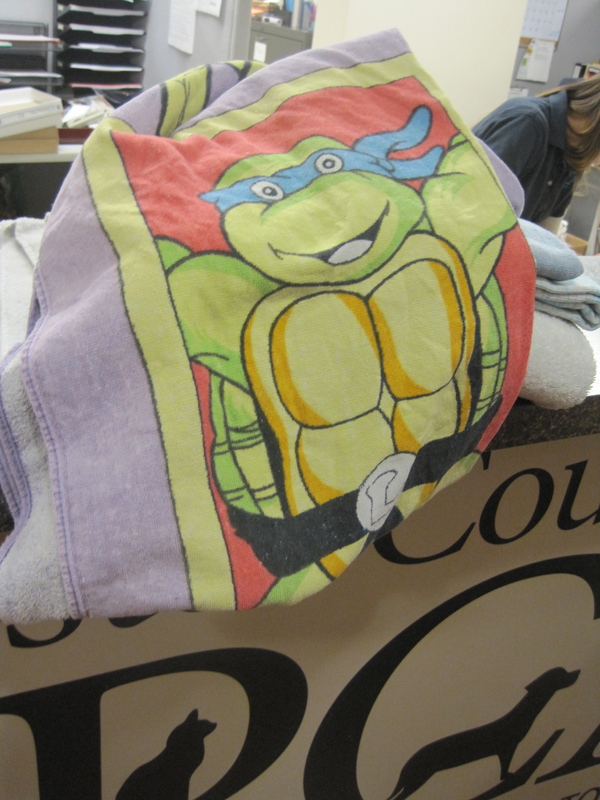 I remembered that the animal shelter is always in need of old towels (bedding?). Pocahontas, pictured in yesterday’s post, will feel at home helping animals. I couldn’t help taking another photo of a donation … one of the Ninja Turtles was giving me a high five, as well as he could without hands. Funny how many years we’ve had this turtle towel (officially our son’s, but beloved by his sisters, too), and almost all that time it’s had a hole in it from being chewed by a dog that lived next door. Now, possibly, another dog will have at it. A moment of deep gratitude for people who gave us incredible cookies at Christmas. This was one (actually the last one, long ago consumed) of a many-splendored (spell check is telling me that is not a word — I’m going with it anyway) variety of cookies given to us by dear friends. I’m so glad I got a shot of it before it disappeared. 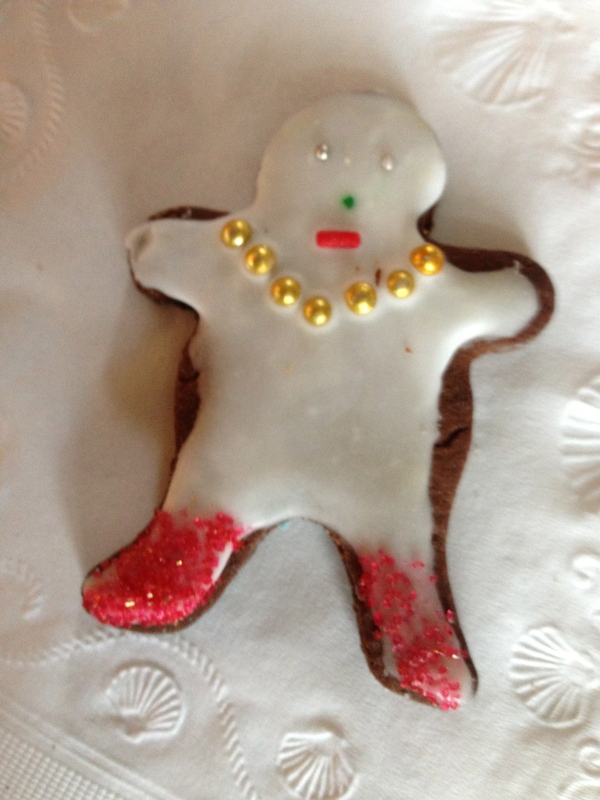 There’s something so dear about her … a cookie with attitude! And then there are these monstrosities of mmmm-iness! (Another new word.) A colleague of my husband’s sent us a box of cookies from a place in New York called Levain Bakery. Incredible. 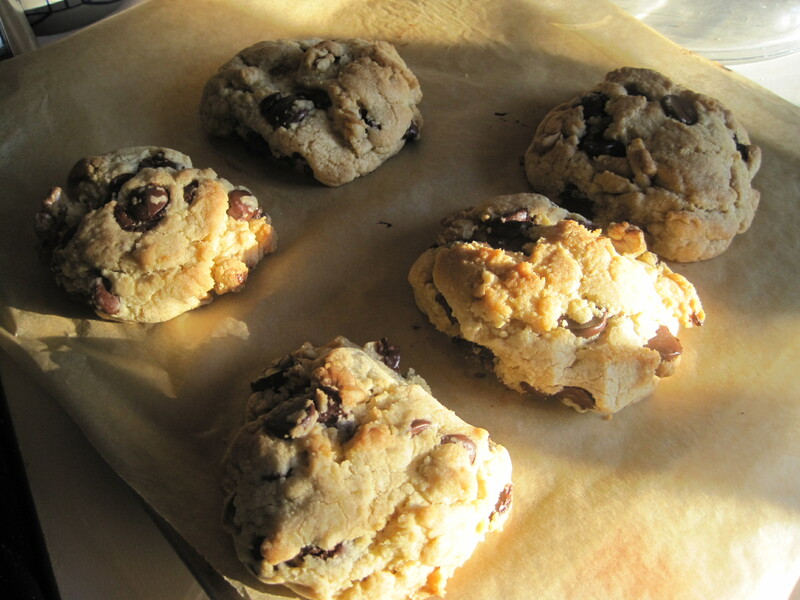 This is what they look like, but these, pictured, were actually baked by our younger daughter from a recipe found when googling Levain Bakery Recipe. Yummah!! We are hooked. This is the link to the bakery: Road trip anyone? So smart to take towels to the shelter and to find encouragement from them directly on their way out the door. Bravo! Maybe I’ll do it too!